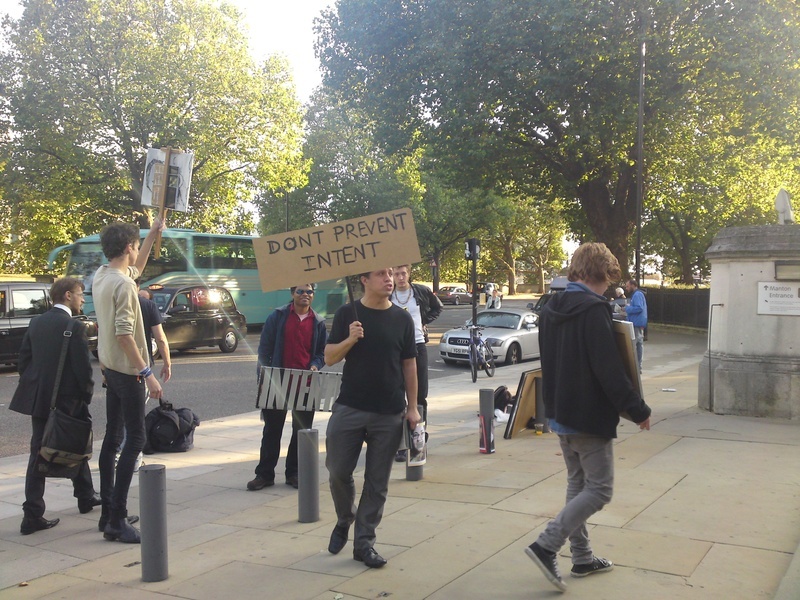 Intentists have organized several public rallies and demonstrations including outside Tate Britain and Tate Modern. Click on the link below to see images, including when Intentists were removed from Tate Modern. Intentism is an international art movement that includes artists, writers, actors, musicians and philosophers. We all share the belief that the meaning of the work is the outworking of intention. We further maintain that in rejecting authorship and intention much creative work has become anemic and indifferent. Consequently, our work celebrates intention by leaving a creative trail of the editorial process behind in the finished piece.